We shouldn’t worry about roulette’s popularity just because skill-based games are flourishing. A lot of people seem to think that doomsday has arrived for traditional casino games. Despite the hundreds of years of success that they’ve had in luring gamblers to their tables, there’s a notion going around that traditional casino games won’t be able to fully withstand the disruption that is happening in the gambling industry. That casinos are moving from classics like roulette to more skill-based games, which have been largely enabled by technological advancements and online gambling. Hear enough of that chatter and it’s easy to start believing it. Maybe the conception of casinos we’ve grown up with will be entirely different from the next generation’s. Perhaps roulette becomes a fringe casino offering that only gets frequented by a small subset of chance-based gamblers among a sea of skill-oriented sheeple. That’s all certainly possible, but the smart money says it ain’t happening. Here’s a few reasons why. To paraphrase a Taylor Swift chorus, certain cultural icons just have such an enduring appeal that even when they come crashing down, they never truly go out of style. Her chief example in that particular song was James Dean, but she may as well have been talking about roulette. Roulette has seeped its way so deeply into the fabric of popular culture that it’s hard to imagine a world in which there isn’t a sort of coolness attached to it. Sir Ian Fleming’s timeless James Bond saga memorably opens at a roulette table in his first novel, Casino Royale, and the character returned to the game when Sean Connery immortalized the black 17 bet by winning on it three times in the film Diamonds Are Forever. A similar winning scene occurs in Casablanca, which is widely considered to be one of the greatest films of all time. The game has featured prominently in novels by Eliot and Dostoyevsky, and in songs by Bon Jovi, B-52s, and Bob Seger. While those artists aren’t necessarily ‘in style’ today, the cultural legacy they have helped build for roulette is unlikely to fade. 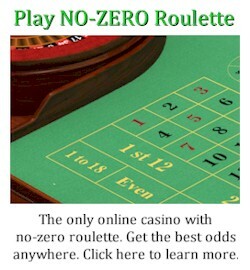 It’s fair to label roulette as a chance-based game. Each spin of the wheel is an independent action with set probabilities, divorced from whatever results may have preceded it. No amount of skill can ever tilt the odds in a gambler’s favor any more than they already are on a particular spin. Yet with all that said, it’s possible to sit down at a roulette table and bet in a manner that demonstrates strategic thinking. As we’ve already covered in depth, there are methods that bettors can use to mitigate the chances of walking away with nothing. Even though each individual result is based entirely on chance, using outcomes to inform bets within designed strategic parameters—like the Martingale or Labouchere systems—completely changes the nature of the bets. They are not blind forays into pools of risk, but rather, calculated gambits that reflect certain degrees of intelligence and discipline. 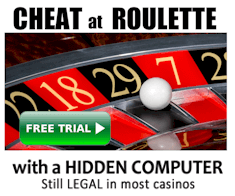 Compared to a game like slots, which not only offers far less room for legitimate strategy, but also denies bettors the ownership of having chosen their own bets, roulette is actually considerably more skill-based—if played correctly. And then again, even if it is played in a thoughtless or arbitrary manner, so what? Some people really enjoy the opportunity to just bet mindlessly on situations that have decent shot of coming to fruition. 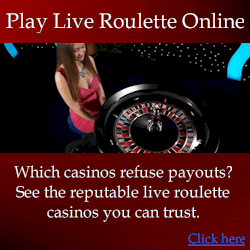 Roulette is a perfect blend of simplicity and strategy. Neither has to overpower the other, which is part of why it has attracted such a large number of players over the years. It’s hard to argue for the demise of roulette when you take a look at some of the statistics that have been tabulated surrounding its popularity. And where better to start that discussion off than with Las Vegas, the center of the gambling universe. According to the Nevada Gaming Control Board (NGCB), the state set a record for roulette volume (the amount it is played) in 2012, with $2.1-billion in wagers. Though it has tapered slightly in the following years due to the loss of some strong Latin American play that fueled the record, 2016 was a year that brought an uptick in players to the tables. Vegas casino expert Anthony Curtis said this year that he sees “far fewer dead roulette tables than I used to. It’s one of the games that for some reason is resonating better with the younger crowd—the millennials that all the casinos are trying to get.” Whatever the reason, it bodes well for the future popularity of the game. These are just a couple examples of roulette showing a resurgence in the gambling community, but they speak to the appeal that the game has always had. Some could argue that it is simply peaking before a drastic drop, but there’s no indication that time is coming. Skill-based gaming may be flourishing, but that doesn’t mean roulette has to give up its own place in the industry.